Will it fit my van? 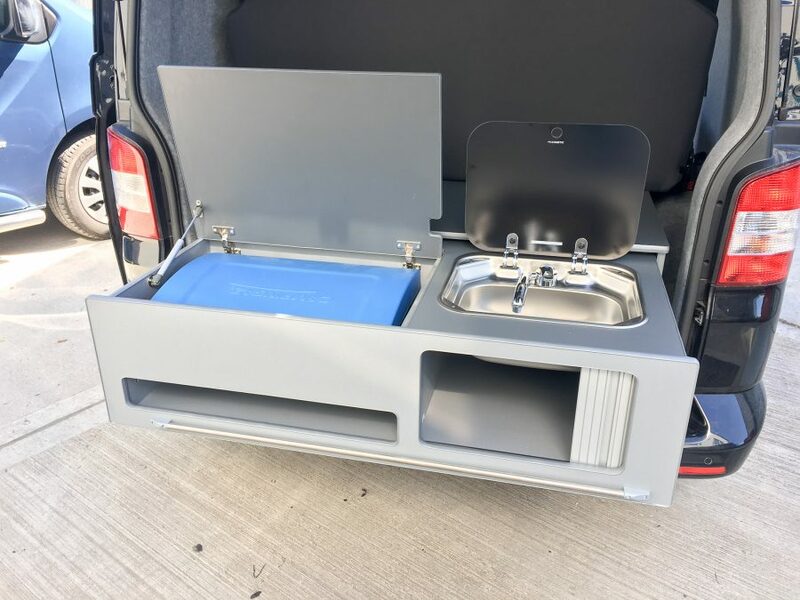 The standard pod is designed to fit in the boot space behind a full width R&R bed, as such its dimensions are (WxLxH) 1200mm X 600mm X 340mm. However we’re able to adjust it to fit within most vans. 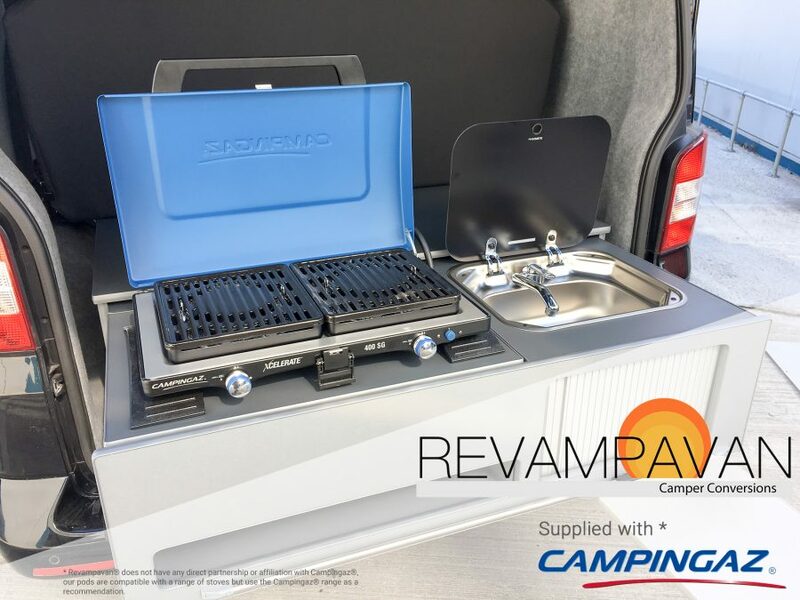 In our years of converting camper vans we have always fitted a Smev hob/sink combination unit. 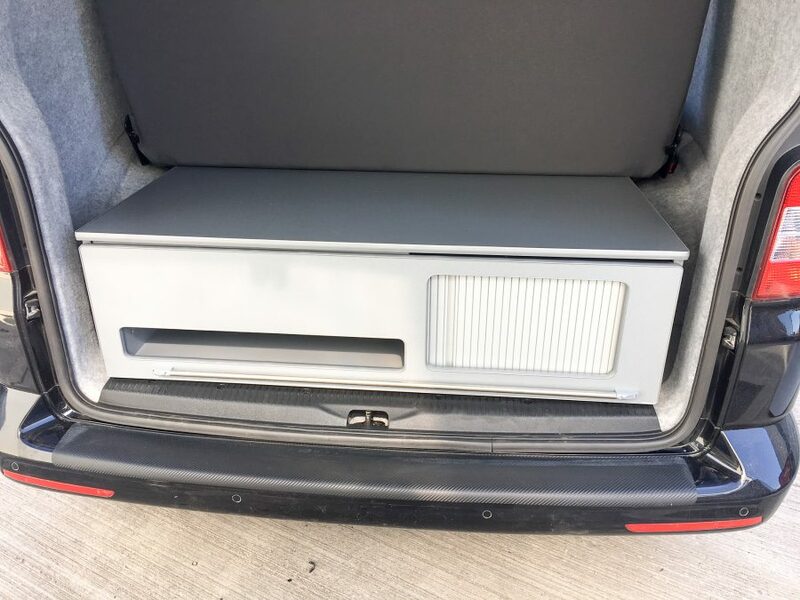 These units are excellent when used inside the van, however these units can struggle in the lightest of winds. By clicking each section the items available will be revealed below. Simply click on each item you wish to add and it will be highlighted with an orange outline. 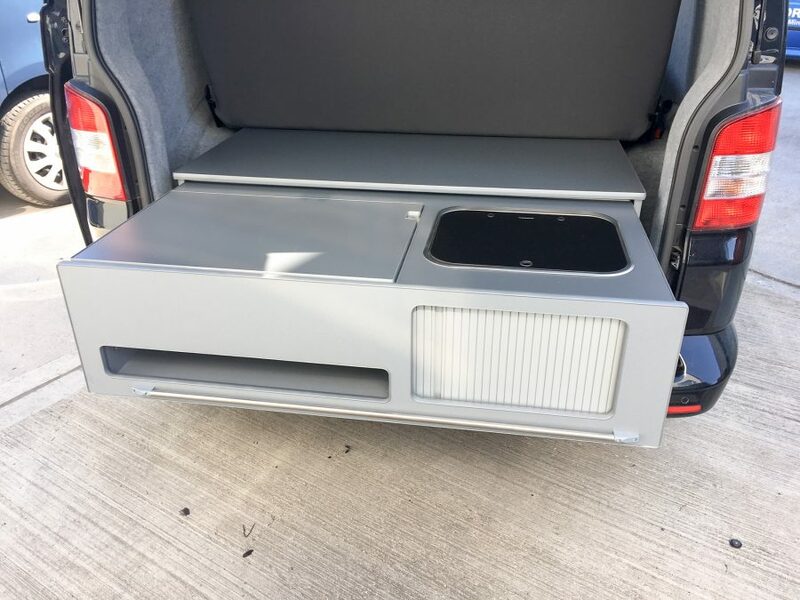 Once you’ve configured your van you can then send the design over to our team for a quote.